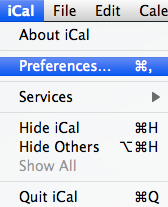 Note: Due to functionality in iCal, the first time you sync, it may update list colors. After syncing, update these from iCal to restore. 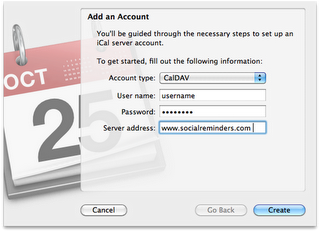 1) Make sure you have set up a CalDAV username and password. 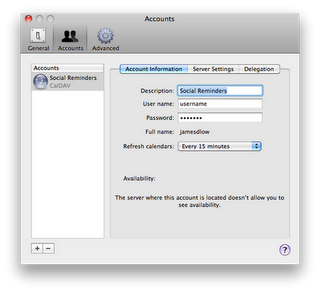 4) Enter your CalDAV username and password and "www.socialreminders.com"
5) Follow the onscreen prompts. If warned about an "unsecure connection" just click "continue". 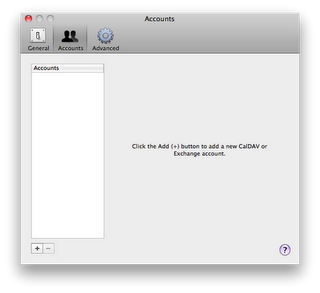 6) Once you account is added, you can change the "description"